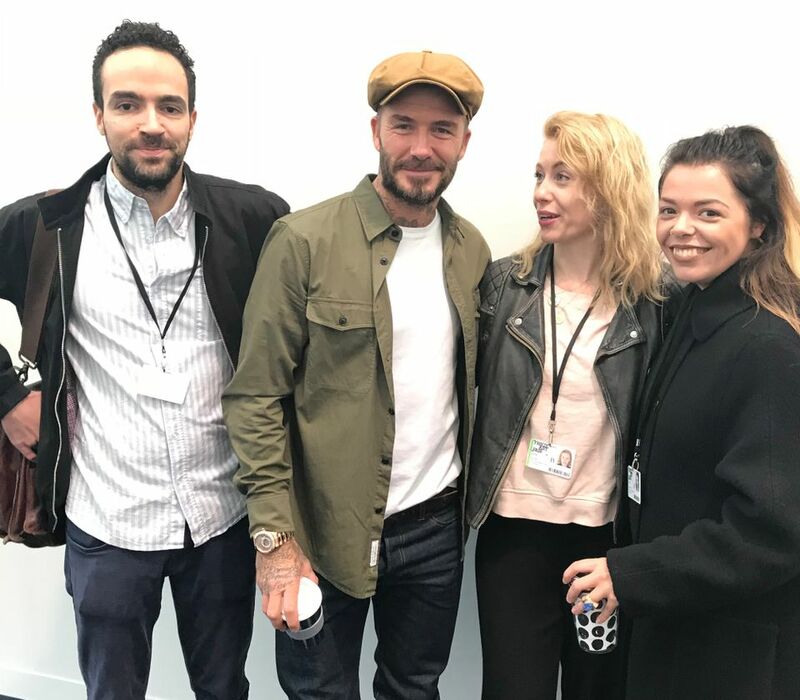 Before the masses arrived for the first public day of Frieze London on Friday, the retired footballer and all-round A-lister David Beckham got an early-morning sneak preview. 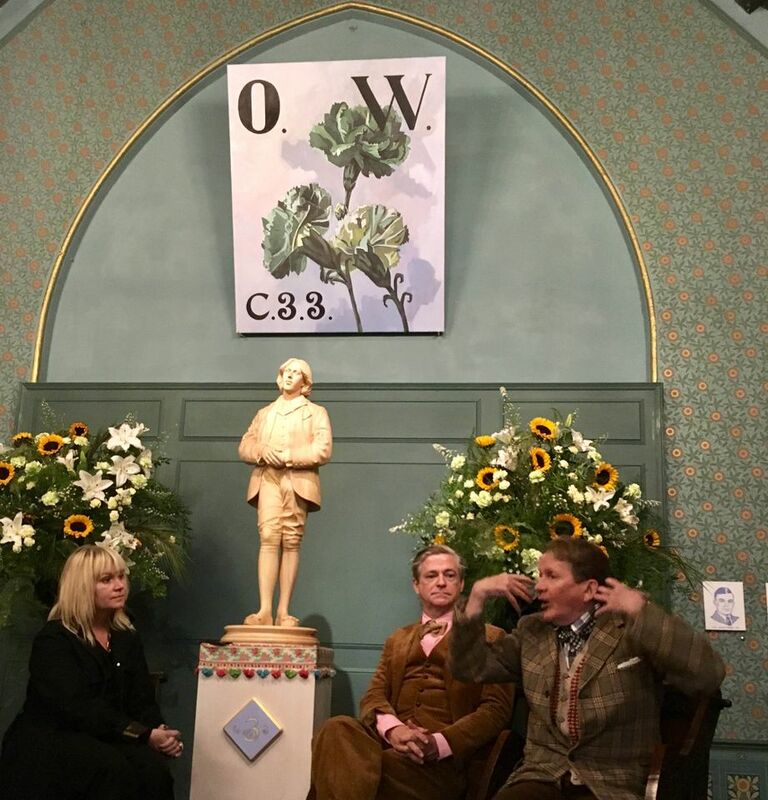 By the time art dealers, technicians and The Art Newspaper’s team drifted in bleary-eyed before their morning coffees, Golden Balls— wearing a newsboy cap—had already visited the fair and was heading for the exit when he was tackled by one of our fine journalists. “Mr Beckham, Mr Beckham! I’m a Manchester United fan; I love your work,” called the advancing hack. The former midfielder has lost none of his deft touch and gamely posed for an impromptu photo shoot. 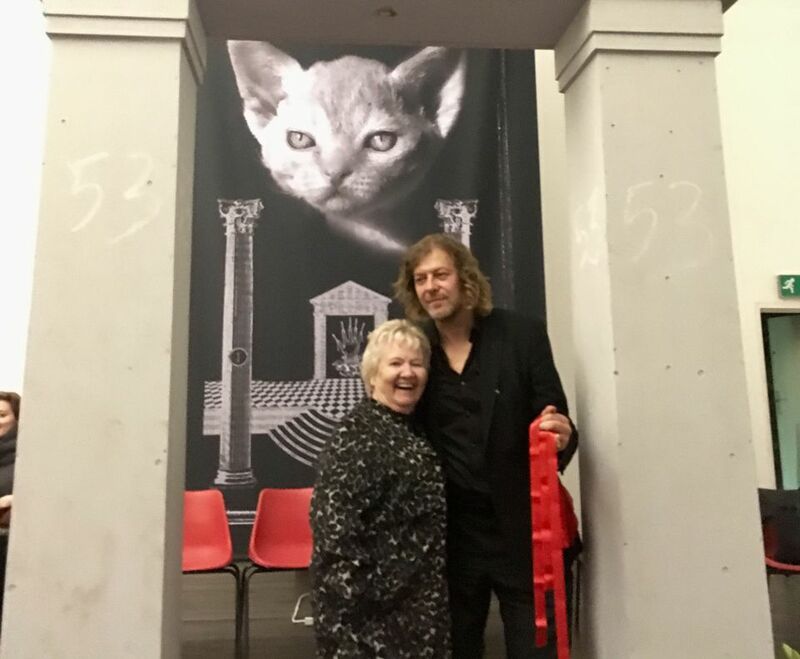 Asked if he had bought any art on the stands, Becks replied: “No, I was just looking.” As were we. 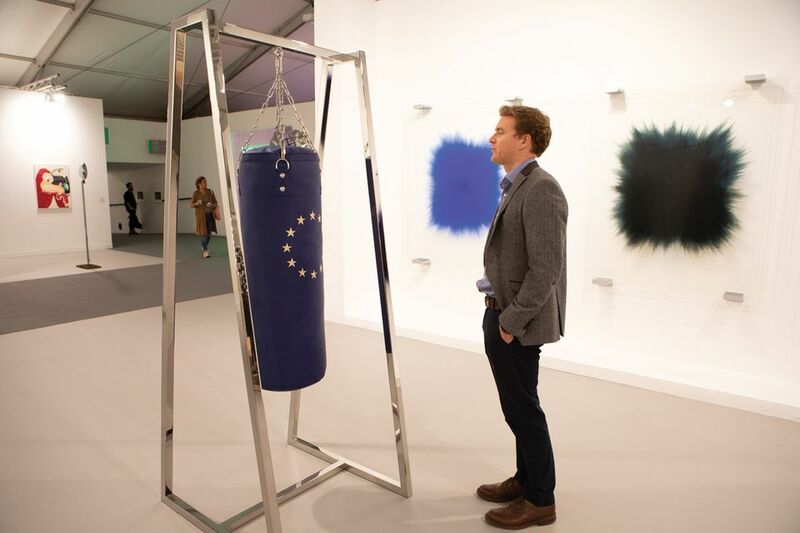 If you really want to take a swing at the European Union, head to Victoria Miro’s stand at Frieze London, which is showing a blue boxing punch bag decorated with the 12 gold stars of the EU flag. Ardent leavers are welcome to pummel this quirky creation by the artists Elmgreen & Dragset until they’re blue in the face. “In light of Brexit and the lying, populist Leave campaign, we propose another way of taking out one’s anger by providing a punch bag with the EU logo,” the maverick artists say. “Instead of blaming the EU for whatever misery arises, politicians like Boris Johnson could just get their frustrations out in private with this surrogate tool.” They have titled the work Anger Management (2018). But as Brexit approaches, will they create a rival piece for remainers to square up to?